Traverse City is a fantastic place to visit during the winter. Your stay in Traverse City is sure to be an experience that is purely unique and purely Michigan. This beautiful city is filled with all kinds of winter adventures from snowmobiling, skiing, snowboarding and more. When traveling to Traverse City, make sure to get the most out of your winter getaway by staying at our new, affordable an pet-friendly property, Red Roof Inn Traverse City. From the second you walk in to Red Roof Inn Traverse City you will be surrounded by fantastic amenities, great service and a clean, comfortable stay. Rest and relax, making yourself ready for the next day’s adventure. Book Your Stay. Enjoy over a quarter mile of beach right on the Grand Traverse Bay at the Traverse City State Park (.5 miles), or check out another of Traverse City’s best beaches at East Bay Park (.5 miles). Adventure and Relaxation await at the Grand Traverse Resort (5 miles). Enjoy Skiing in the winter and a round of golf when it’s warmer. Kick back and relax at the spa with massages, facials and more. Enjoy luxury without the price tag by staying close by at Red Roof. 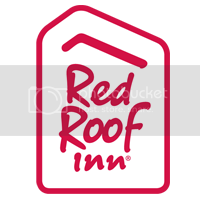 Stay close to campus at Red Roof Inn Traverse City. Just around the corner from North Western Michigan College (1.5 miles). A stay at Red Roof makes sure you are well rested and ready for your campus tour, visit with friends or loved ones, or official meetings. Take a tour of Traverse City’s fantastic Wineries, Micro-Breweries and Distilleries. Tour Black Star Farms Old Mission Winery and Distillery, Chateau Chantal Distillery, Forty Five North Winery, Shady Lane Cellars Winery, Mackinaw Brewing Company and North Peak Brewing Company. Just a selection of the many breweries, wineries and distilleries in and around Traverse City. Enjoy the beautiful scenery and unique atmosphere of a Tour at King Orchard Cherry Farm. Learn more about the fruit, its health benefits and how it is grown. Great activities for the whole family, this is one tasty tour you aren’t likely to forget. Grab a bite to eat at great spots like Red Messa Grill (Walking), Ruby Tuesday (0.2 miles), Bob Evans (0.4 miles), Dons Drive In (0.5 miles), Toms Super Market (1.7 miles), The Cottage (2.1 miles) and The Omelette Shoppe (2.7 miles). Grab a great meal and feel good about it at the Grand Traverse Pie Company. With delicious treats and food for every appetite, the Grand Traverse Pie Company donates 100% percent of their profits to charity and all proceeds go to paying employees and charity. Make your travel easy and stay only 3.2 miles from Cherry Capitol Airport at Red Roof Inn Traverse City. Rest comfortable and go through your travel rested and relaxed. At Red Roof Inn Traverse City we know that your next office visit or procedure at Munson Medical Center (5 miles) can be stressful. Make sure your commute is easy and stay with Red Roof, only five miles from the Center. Remember, get the most out of you travel experience by staying with Red Roof Inn Traverse City. Enjoy a clean and comfortable room every time you stay with us and enjoy in room amenities like Free Wifi, In room coffee, flat screen TVs, updated rooms with hardwood floors and more.